Jeff Lake Day Camp takes its name from Jefferson Lake, the pride and joy of camp, where campers have 50 acres of waterfront to explore, learn and develop skills. Campers receive age-appropriate instruction in boating, and advanced swimmers learn how to safely navigate the lake. Campers of all ages have the opportunity to participate in water activities tailored to fit their skill levels. Freshman campers can safely gain confidence in our enclosed cove to splish-splash in Lake Play. 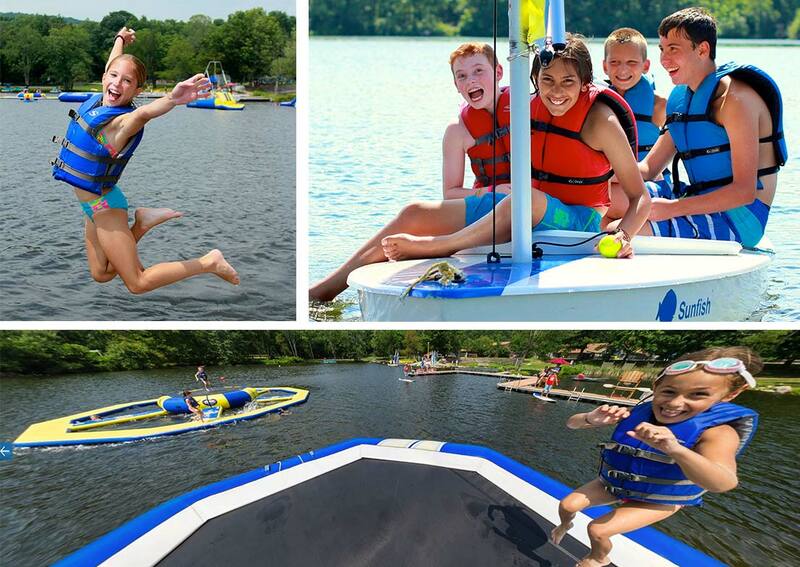 Junior and Senior campers can enjoy kayaking or boarding with friends, and nothing beats our new Lake Playground! Seniors can do it all! They will also learn to sail and develop their Stand-up Paddle Boarding skills. Fishing on New Jersey’s Jefferson Lake has long been a beloved pastime for campers of all ages. During the average summer, we catch and release close to 3,000 fish! There is nothing like catching your first fish!